We aren't just a tree care provider. 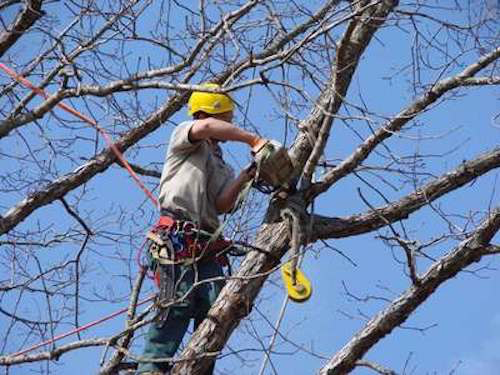 We’re actually a customer service company that happens to work in the arboriculture field. Not sure what we mean? Put simply, we are 100% focused on customer satisfaction, and the tools of our trade are tree care and service in and around the Salem, Oregon area. We have been providing Salem tree care services since 2006, and we have always believed that our customers make the best spokesmen. 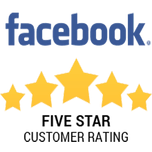 Our high ratings on Yelp, Homeadvisor, Google and Angie’s list attest to this – if our clients are not completely satisfied, we most certainly aren’t either. We never take on a project we cannot do, and we have never really encountered a tree care project outside of our capabilities. Call us for a free, usually, same day estimate. We offer Salem property owners a professional yet affordably choice for quality service. We realize that while trees are beautiful wonders of nature that add warmth and life to your property, they can also be severe hazards if not tended to properly. Untamed tree growth mixed with severe weather or strong winds can result in lost lives, damaged structures and fallen power lines just to name a few dangers. We also know that neglected trees result in drastic loss of curb appeal. Trees are beautiful natural phenomena. But, when left unattended, they can become eyesores very quickly, often resulting in trees being destroyed when their beauty can often be restored with simple maintenance and care. We are a unique, family owned and operated tree care company. We are different from the rest in that we don’t consider ourselves just another tree contractor Salem OR depends on. We are actually, above all else, a customer care company that happens to ply its craft in the form of diverse arboriculture. We are a fully licensed, bonded and insured company, hiring only the best possible professionals available. We hold our staff to rigorous background checks and drug screenings because they’re customer service professionals, not just tree service providers. 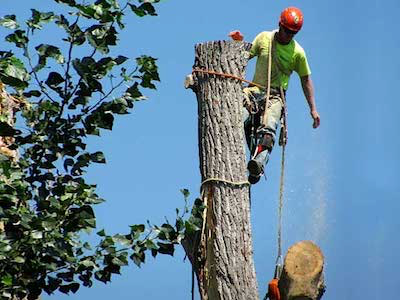 We’ve been providing the best tree removal Salem OR and the surrounding areas can offer since 2006, with the most experience and highest customer satisfaction around. We value our customers not as some form of income but as fellow members of this community whom we are here to serve. 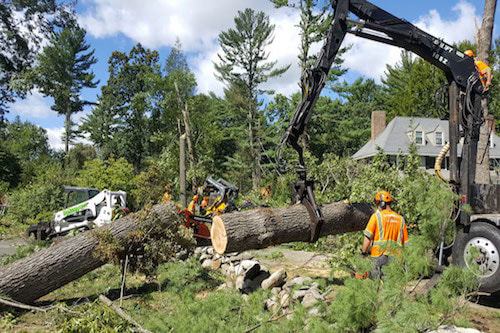 We see tree care not just as a way to keep Salem beautiful, but as an invaluable service to ensure the safety of Salem’s residents by keeping houses structurally safe, power lines intact and important roadways clear at all times. The key is, we love our community and we absolutely love what we do. When you love what you do as much as we do, it’s not hard to provide the best service possible. It’s always unfortunate when a tree has to be removed. However, there are cases where there’s little choice. Dying or damaged trees are severely dangerous, old, gnarled trees can threaten to destroy foundations or ruin landscaping. We know you have choices when it comes to Salem tree removal which is why we make it a mission to be the very best. Our professionals obey the strictest safety precautions with every step of the process to ensure nobody is hurt and nothing is damaged. People often underestimate how dangerous dying or damaged trees really are. The reach of a fallen tree is almost always much further than it appears. Never try to handle this yourself. This can be a simple, affordable service when done properly and we guarantee we’ll always do just that. If you have a tree in bad need of removal, don’t put your house, your car and your family in danger by putting this simple task off any longer. Let us it safely and affordably. Removal isn’t the only kind of service Salem residents need. In fact, we’re aware that in most cases, regular trimming and maintenance of trees prevents the need for more drastic actions to be taken. 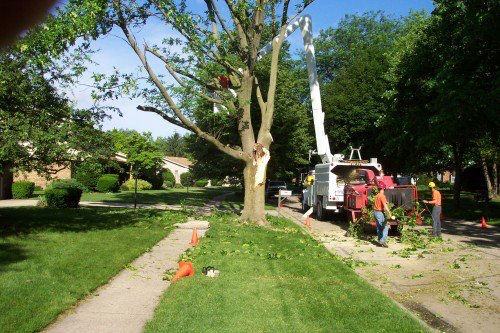 Neglect of tree cutting and trimming is a common reason why trees cause felled power lines and damage roofs and vehicles. Fail to mention, this is unhealthy for the trees and makes them look ungainly and awful as well. While the best time of year to have tree trimming done is in the winter, we are equipped to tend to your trees any time of year. If your trees are overgrown and/or ugly, don’t procrastinate, schedule Salem tree trimming today. Tree stumps can be unsightly and a real nuisance. Strong roots and dense wood make them nearly impossible for you to remove on your own short of digging it out – which we absolutely don’t recommend. Fortunately, we employ the least-invasive stump grinding techniques available. Pulling a stump and the lengthy, deep roots of a stump out of the ground is destructive and should only be done when construction or road work are planned for the area. With grinding, we mulch the stump from the top down, reaching below the ground surface, causing the stump to vanish. The remaining root structure will compost in the soil, fertilizing the land naturally while preserving the landscaping. Don’t tolerate that ugly old stump hindering your lawn care and landscaping anymore. We can get rid of it for you without destroying your lawn or leaving unsightly craters. ​The biggest danger brought on by severe weather takes the form of fallen trees or at least fallen limbs. They damage roofs and vehicles, they knock down phone and power lines. They block roads, hindering other emergency and rescue services from getting to people in dire need of help. We provide 24/7 emergency response ready to respond to any arboreal emergency as quickly as possible. We understand that blocked roads and downed power lines can cost lives or at least cause a lot of misery, and we’re here to minimize this problem as much as humanly possible. If you see fallen trees or branches endangering our community, don’t hesitate to call us any time day or night, so we can clear the problem up right away. Untouched parcels of land in Oregon tend to be very overgrown, thick with brush and strong trees. As beautiful as this unspoiled wilderness can be, you can’t safely build until this is cleared out and the space made open. This is the most involved tree care Salem residents can need, and requires the most experienced and properly-equipped professionals around. 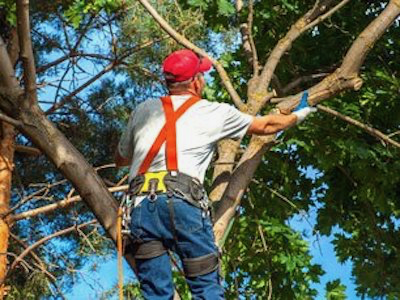 Those professionals work for us, which is why we are the best trees service provider to clear your lot. 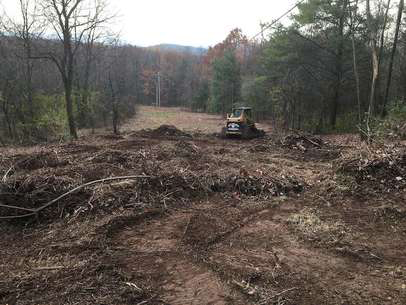 It doesn’t matter how thick the overgrowth or how big the lot, our professional tree cutters are prepared to transform any patch of wilderness into a clear space perfect for residential or commercial building in very little time. Like most people in Oregon, we believe nothing should be wasted. This is why, when brush and limbs need to be removed, we believe in chipping and mulching it, giving it new purpose. Our courteous professionals and state of the art equipment are at your disposal for a very fair price for any brush removal or wood chipping needs you may have, regardless how large or small the project might be. In Oregon, with the rain we get and the rich soil we have, it doesn’t take long for brush to grow out of control. Not only can this be unsightly and ruin your curb appeal, but it also attracts insects and wild animals. Don’t let the brush on your property get out of control, let our tree staff clear it out before bigger problems come around. 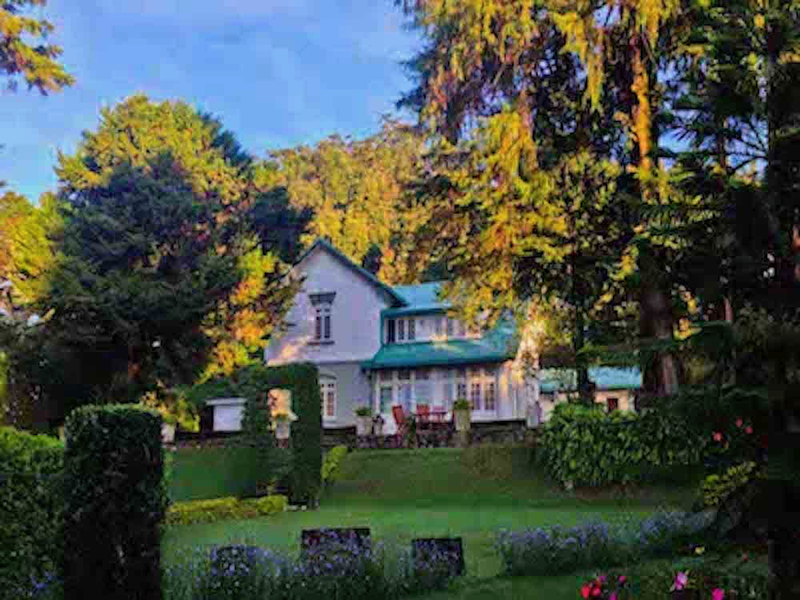 Did you know that if the trees service you choose isn’t properly insured and bonded, any damage or injuries that befall you or the staff involved become your responsibility? Don’t settle for one of the ill-experienced and uninsured tree removal Salem OR has in abundance. Oregon is known for its beautiful woodlands and other natural beauty. It’s a difficult place to tame and master, but we are more than up for it. There’s no kind of tree we can’t work with, no lot we can’t clear and no stump we can’t grind or remove. If we say we can do it, you can count in it being done. You expect the best service and customer care, and we expect absolutely nothing less of ourselves. We are the best tree care Salem OR has to offer, and we’re eager to prove that to you any time. Call us today for a free quote. You’ll be beyond happy with the price we quote and the service we provide. Call today for free estimates on wood chipping and brush removal.